The rule of thumb in social media marketing is to avoid an overly promotional stance. Customers are savvy online users, and have learned to tune out the hard sell. With this in mind, one of the biggest social media mistakes is constantly bombarding your followers with promotional posts. Instead of seeing an increase in followers, it’ll swing the opposite way. Remember, social media is important to your business and the point is to partake in two way conversations, build relationships with customers, and get social! So, avoid bombarding your followers with promotional content all the time. Instead, offer them content they’ll find valuable and relatable. Quick tip: While it’s good practice to avoid only promoting yourself or your business, you should still do so sparingly. Here’s a helpful guideline on the art of self-promotion on social media. This definitely applies to your online presence as well. Failing to develop and execute a social media strategy is a definite no-no and violates one of the most important best practices for social media. Before starting, it’s important to understand why your business will have a social media presence to begin with. Once you know its purpose, map out the goals and objectives your company wants to accomplish on social. Remember, your objectives should be S.M.A.R.T: specific, measurable, attainable, relevant, and time-bound. The key word here is measurable—how else will you know how effective your social media event marketing efforts are? First time creating a social media plan? Read on to see the 8 essential elements of a social media marketing strategy. Social listening is one of the most important best practices for social media for any business to follow as it helps separate the noise from the chatter. Tuning into what your community is talking about provides you with opportunities to tap into what’s truly relevant for your audience. In this way, it allows you to deliver more meaningful and valuable content your audience is looking for. Effective listening also helps you connect with an audience that matters, and can even help you generate leads or increase collaboration by building more authentic relationships! We get it; when it comes to social media event marketing it’s natural to aim for more eyeballs on your business. However, focusing heavily on gaining a multitude of followers or doling out a high volume of content are common social media mistakes you should be avoiding. To steer clear of this, remember the age old saying—quality is better than quantity. By building a quality audience, you’ll see a higher percentage of engagement which will ultimately strengthen your brand’s online presence. Quick tip: don’t buy followers! It reduces your reach, reduces engagement, and doesn’t provide you with quality interaction. It’s always better and advisable to gain followers organically. A common social media faux pas is that you have to be everywhere online. However, what’s the point if you don’t have the resources to maintain a consistent presence? Remember this: an inactive social media profile doesn’t do you any favors—it’s much more damaging than not having a profile at all! 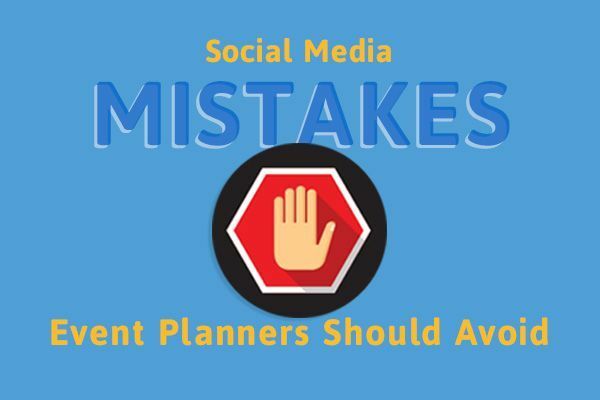 Social media mistakes are bound to happen, but it always helps to have an idea of what to avoid! 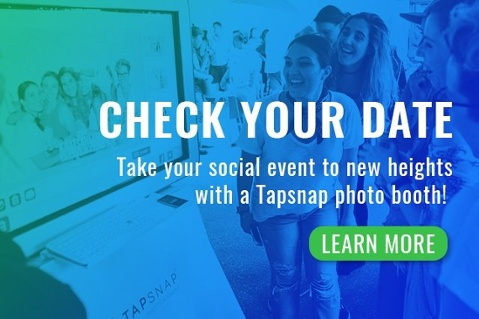 When it comes to social media event marketing, there’s a lot to take note of. However, here are some helpful tips and tricks to keep in mind when promoting events on social media. Remember, social media trends come and go, but keep these online best practices of successful event planners in mind!